Today, 14 January 2018, is the fifthy adniversary of the Belice earthquake. Gibellina, 1968. A big eathquake strikes the Belice’s valley in Sicily, causing 231 casualties. 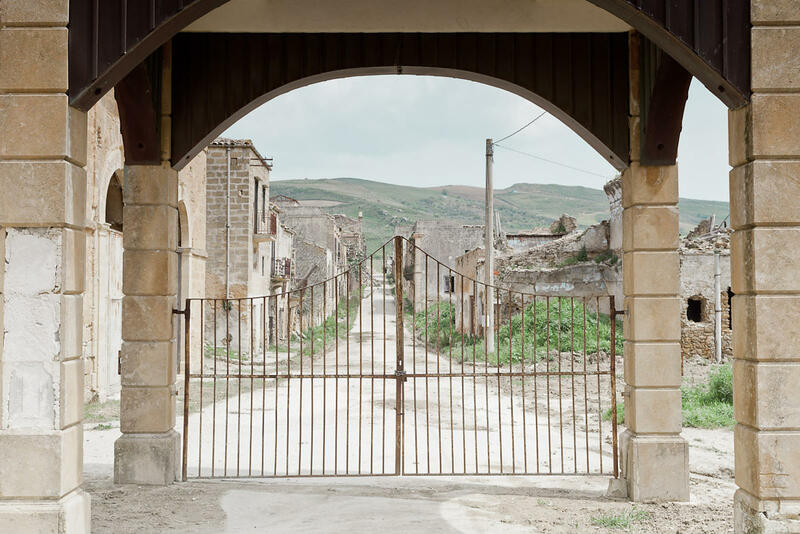 Most of the towns were completely destroied, being Gibellina one of them. The city has been rebuilt in a new location, leaving the ruins of the old town in the original valley. In the 80’s Alberto Burri has created on the ruins of the town “The Great Cretto”, wich is basically a sarcophagous of the city structures, as it covers with cement all the houses destroyed by the earthquake. The cretto was officially completed only in 2015. This photograph, taken 50 years later in late 2017, shows the Cretto today and still bring back memories to that days back in time. The Great Cretto is one of the efforts of a group of important artists that came to the Belice valley with the aim of reinvent towns and structure from scratch and in a better way. However most of the projects remained Suspended 50 year later: as for the Teather of Consagra, never completed, located in Gibellina nuova.